Fighting breast cancer is a challenge, but we’re here to help. These treatments are focused on relieving symptoms associated with breast cancer. Fighting and conquering cancer is feat in itself. But another challenge begins in recovery. Women who have underwent single or double mastectomies are at a high risk for musculoskeletal side effects. Loss of mobility in the upper extremity, chronic pain and lymphedema are some examples. Exercise is a key part of symptom management; physiotherapy is key in prevention. The physical toll of cancer takes on the body is not to be understated. Physiotherapy can play a big role in the relief of pain, improvement of mobility, and lessening of fatigue. Fatigue can result from a variety of factors. Physiotherapists take on the role of both caregiver and educator here. They prescribe exercise programs that can gradually increase strength and energy levels. Furthermore, they educate you on the importance of pacing your day. Through gradual treatment, muscles are reconditioned to handle the stresses of everyday life. Breast cancer physiotherapy is unique. Our trained staff work collaboratively on every case to provide our family of patients the very best. Breast cancer physiotherapy is aimed at patients who are in the recovery phase. Many of those who have underwent surgery for breast cancer, can experience arm and/or shoulder issues during recovery. Further complications can occur as late as one year after surgery. If you receive a referral from your doctor – come in and see us. We will create a treatment plan that works for you. Physiotherapy can help restore mobility to the area. The sooner you can come in following surgery, the better. 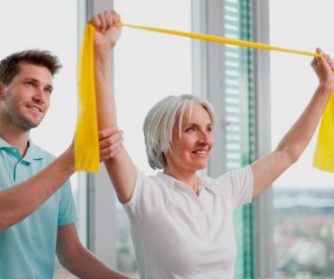 We can work with you from the beginning to created a graduated exercise program to help reduce pain during your recovery. It’s important to first get the approval of your physician before taking on any treatment. There are a number of recovery related side-effects for which physiotherapy can be successful against. These include lymph-edema, bone loss, fatigue and upper extremity dysfunction. 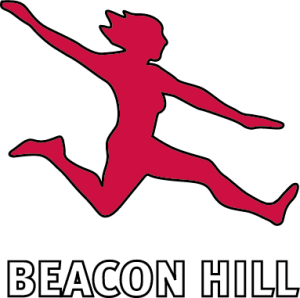 Here at Beacon Hill, our team has the training and compassion to work towards success with our patients.